It has been an exciting week for the Neighbor Foundation, we are thrilled to announce our official launch of the Neighbor Foundation in Singapore as part of our office expansion. The Singapore team was originally members from a home-grown live chat start-up, Zopim, which Zendesk acquired in 2014. Today the expanded location can accommodate over 120 staff. As we grow our business in Singapore, we also recognize the importance to grow our commitments in the community. Zendesk already contributes significantly to the local start-up ecosystem. Zopim co-founders have invested in more than 10 Singapore-based start-ups and provided mentorship to many more. With the launch of the Neighbor Foundation, we have outlined a target goal of 1,000 hours in community work in 2017 with a number of community organizations. 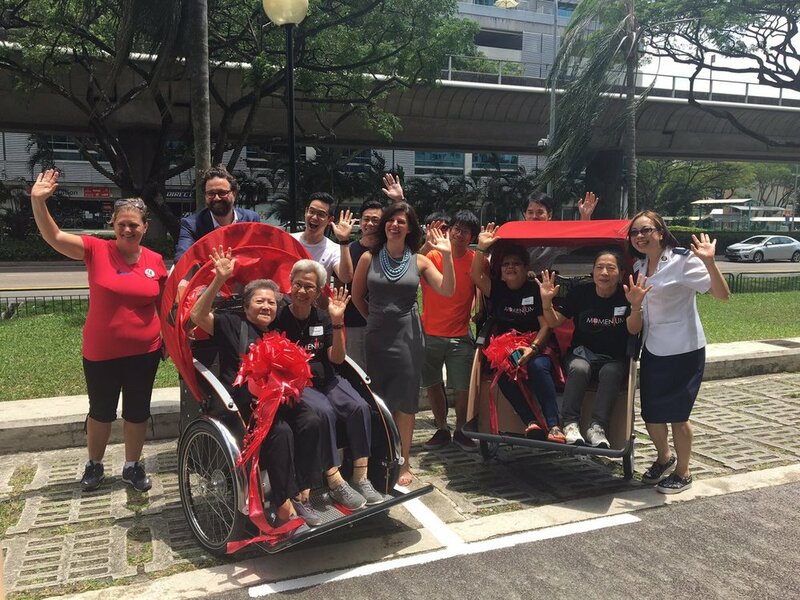 The first community project in Singapore is a partnership with Cycling Without Age, which aims to break age barriers by pairing senior citizens with volunteer cyclists to share a bike ride. We have donated two trishaws to the Salvation Army and as part of the office expansion launch held our inaugural ride. Through this launch, we more committed than ever to do our part in the community of Singapore. We look forward to growing partnerships and being good neighbors!